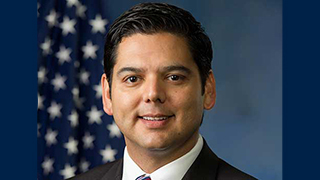 U.S. Representative Raul Ruiz, M.D., grew up in the community of Coachella, California, where both of his parents were farmworkers. He represents California’s 36th District, which includes the entire Coachella Valley, as well as the cities of Banning, Beaumont, Blythe, Hemet and San Jacinto. He resides in Palm Desert, CA. Dr. Ruiz currently serves on the House Committee on Veterans’ Affairs and the House Committee on Natural Resources.